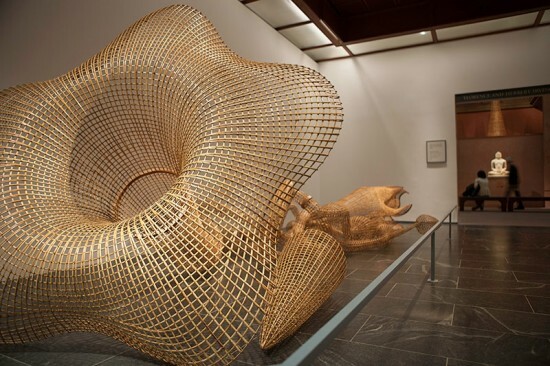 Sopheap Pich: A Room Indianapolis Museum of Art 4000 Michigan Road Indianapolis, Indiana Through August 24 Among the currently running exhibitions in the Indianapolis Museum of Art is a bamboo installation that embodies the essence and culture of Cambodia. 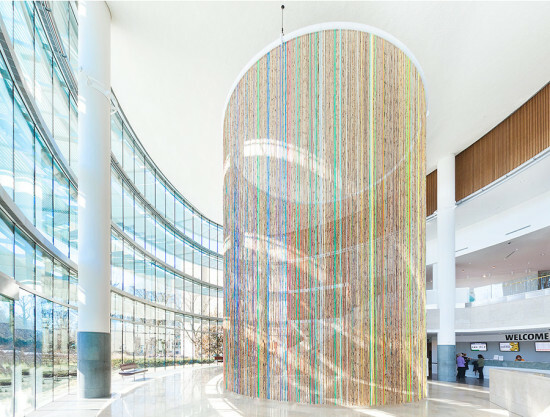 Entitled A Room, this brainchild of acclaimed Cambodian contemporary artist Sopheap Pich furnishes the Efroymson Family Entrance with approximately 1,200 bamboo strips. The bamboo strips, both natural and artificial, are arranged into a circular curtain that extends 40 feet from the floor to its peak. The area inside the bamboo curtain measures 26 feet in diameter and is illuminated by natural light filtered through or between the bamboo pieces, making it an ideal location for visitors to meditate. Pich is distinguished by his consistent use of bamboo and rattan strips in his art installations. In this particular case, the light coming through the bamboo strips emulates the sensation of standing in a bamboo forest in Cambodia. Cambodian Rattan The Metropolitan Museum of Art 1000 Fifth Avenue New York, NY Through July 7 Sopheap Pich is a contemporary Cambodian painter and sculptor known particularly for his unique rattan and bamboo sculptures. He uses these two culturally meaningful materials to create organically flowing, three-dimensional, open-weave forms. Most of his works emulate the naturally fluid forms of human anatomy and plant life. For example, “Morning Glory,” a mesh sculpture inspired by the blooming vine that served as an important source of nourishment for the Cambodian population during the 1970s, gently slinks across the floor before gracefully opening into a delicate flower. This exhibition features ten of the Cambodian artist’s most important works, which appear to be weightless, but deliver deep and complex statements about culture, faith, nature, the rich, and the sometimes-tragic history of Cambodia.